Setters are the quarterbacks of volleyball. Every decision they make will contribute to the success or failure of an offensive play. The goal of the offense is to get the setter to touch the ball on every single play in order to run a successful attack. 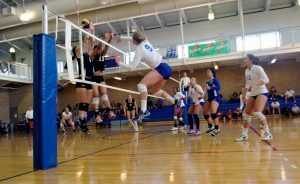 They have a lot of pressure on their shoulders in this leadership role, so here are eight tips to help setters succeed in this demanding position. At the beginning of the season, get to know your hitters well. What are their strengths? What are their weaknesses? What do they enjoy running the most? Are they quicker or slower? Do they hit one shot or are they good at ball placement? Know who your go-to hitters are in emergency situations. Sit down with them and have an honest conversation, and then relay this information to your coach. That way in a game situation, you always have a solid backup plan when nothing else seems to work. 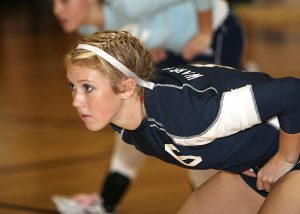 You are the main communication outlet on the court between the front row and back row players. If you need the passers to get a higher pass for you, tell them. If your hitters are too early, tell them. You have the best view of the game, so let your teammates know what is working and also what needs to be changed up. Also, as a setter it’s important from a leadership standpoint for you to be selfless. Ask what do your hitters need from you? Do the need your sets quicker or further? You won’t know what to change unless they tell you, so communication is imperative. Sometimes things just don’t work. You are running your best hitters, but they just don’t seem to be getting the job done. That’s when it’s time to switch things up. There are many ways setters can switch things up. The first and simplest way is to dump or slightly tip the ball over the block to throw off the opponent’s defense. Another option is to shoot it to the corners. Do this move very discreetly and don’t be too obvious, or your opponents will pick up on this fast. You can also switch things up by running a completely different offense. Utilizing your hitters that can swing from the back-row is another smart way to switch things up while possibly catching the opposing team off guard. In other words, make sure if you are setting to the outside, your body position is the same as if you were setting backwards to the right side or a quick to the middle. Part of being a setter is to always keep your opponent guessing. This skill is a lot easier said than done. So have a coach or teammate video tape you setting different sets. Study what your body does for every different set, and see what you can do to become more consistent. Once you master this aspect of setting, your hitters will thank you for leaving them an open block by tricking the opposing team’s blockers with your set! Yes as a setter your main job is to set the ball up for an attack. However, often times many setters get caught cheating on defense by running too early to get ready for offense and miss an easy pass or tip! Coaches look for setters who are disciplined on defense and know when the right time is to release from their base. Wait until you know for sure that the first pass isn’t coming to you, and then transition to offense. If setters aren’t careful this can become a bad defensive habit! There is no good way to describe the pressure that setters are under. You can only relate to this pressure if you’ve been in this position yourself! The pressure can feel heavy sometimes, especially when nothing you run seems to work in an intense game situation. Maybe the pass is off, and it’s frustrating you. However, when setters show that they are flustered, the team will replicate these actions. As a setter, it’s not only important that you have physical toughness, but mental toughness is equally just as important. When things start to spiral out of control, take a deep breath, and maintain a level head as a leader of your team. 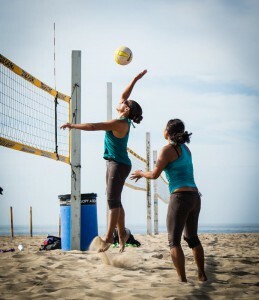 Setting is a tough, mentally and physically demanding high pressure position. 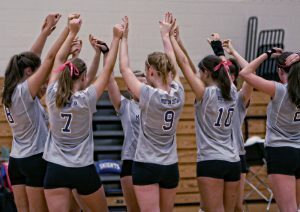 However if you believe in yourself, train hard and take to heart these 8 practical tips, you are sure to be the fantastic leader and setter that your team needs.